The Real Face of Jesus DVD Review A relentless tour de force of unrestrained aggression, Outrage plays like a cross between The Godfather and Reservoir Dogs done, of course, through Kitano’s inimitable filter. I found this ‘documentary’ immensely frustrating. Perhaps unease set in from the very beginning, with the title taking the form of a question. Then again, maybe we should assume from the start that any matters dealing with religion cannot by definition provide a definite answer and so we should not get too worked up over this point. I found the narration constantly breathless and needlessly anticipatory. There is a lot of repetition, accounting no doubt for the built-in ad breaks which the DVD mercifully does not feature. 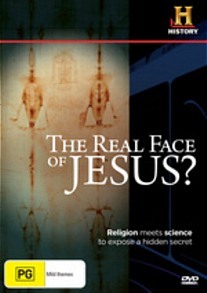 At its heart, The Real Face of Jesus is about a team of graphics artists and other experts who attempt to decipher the famous Shroud of Turin, which purports to have been the wrapping cloth of Jesus Christ after his Crucifixion (all charmingly told in the Gospels). With much reference to a famous 1978 ‘scientific’ study, in which the Catholic Church granted round the clock access for five days to a group of experts, the current team aims to construct a 3D image of what Jesus may possibly have looked like. They attempt all sorts of things, like carbon-dating, manuscript analysis, ‘the historical record’ (whatever that is), and all manner of pseudo-scientific mythological entanglements to prove and disprove arguments for and against this piece of linen being authentic. The way the documentary is constructed is irritating, with a lot of to-and-fro cuts and the aforementioned repetition. But then there is the material itself. You get to the end with pretty much the question unanswered. It’s enough to get you in a lather. The attempted matching of ‘impressive’ high-tech equipment and long-lost misty mediaeval curios does not gel; nor it is compelling. Perhaps the most annoying thing is the show’s deliberate attempt to present the muddy vehicles of ‘scientific religion’ and ‘religious science’. Having a Catholic priest who can also use a microscope does not a convincing argument make. A thoroughly sceptical approach (or conversely, a hilariously ultra-faithful one) would at least have been more entertaining than this wishy-washy catch-all collection ‘what if... then...’ nonsense hypotheses that run over and into each other and lead nowhere. The disc has no bonus features and sound is Dolby 2.0. The image quality is quite high.